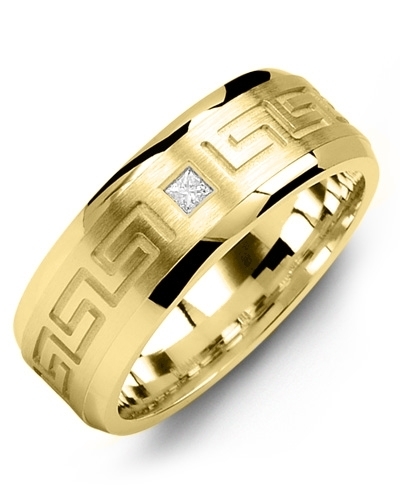 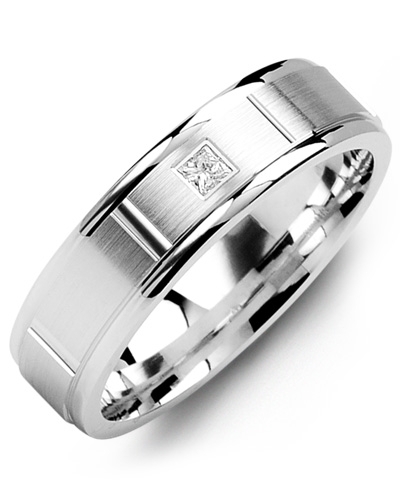 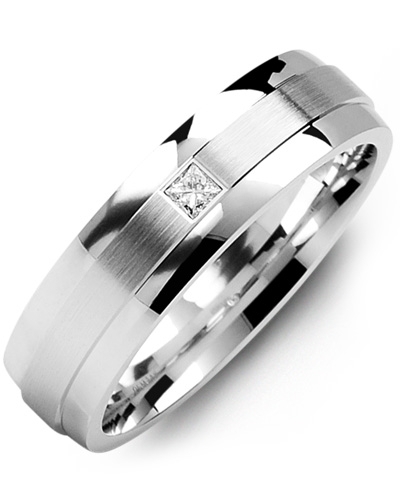 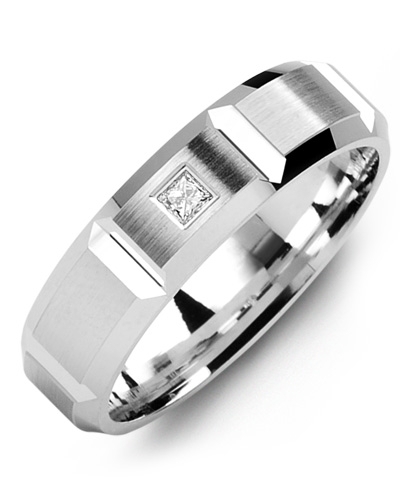 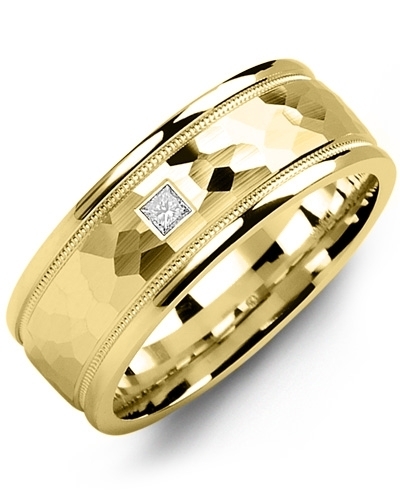 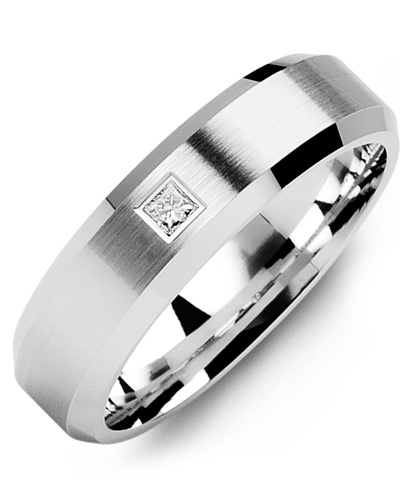 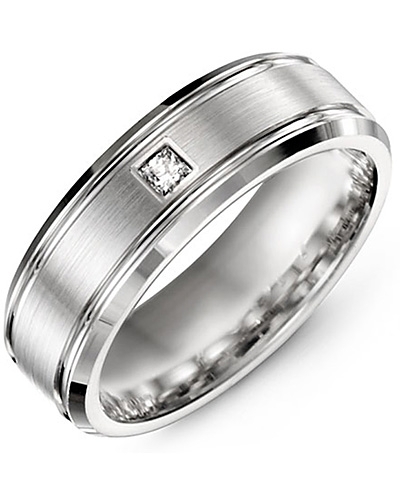 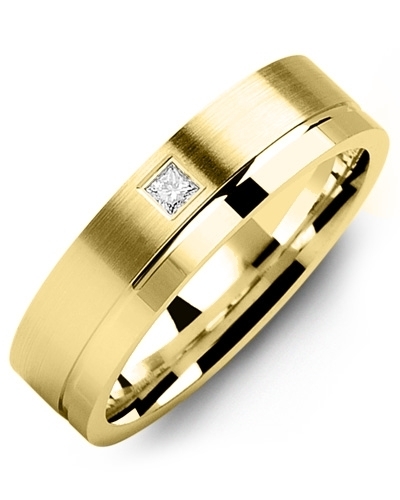 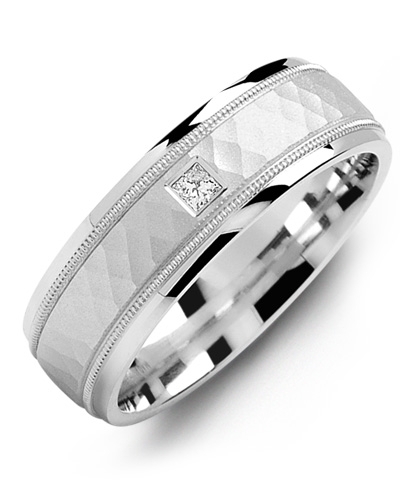 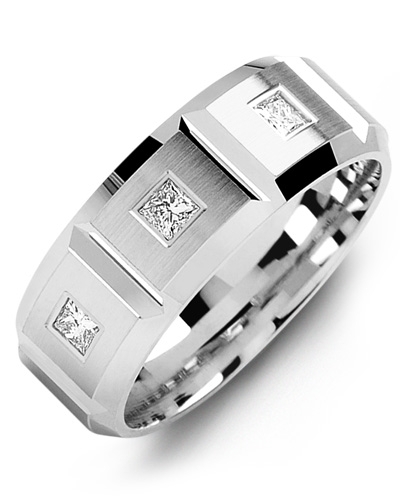 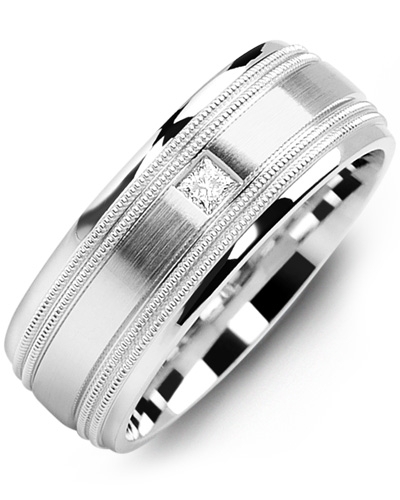 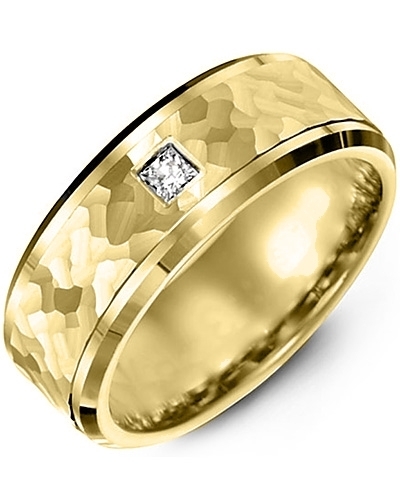 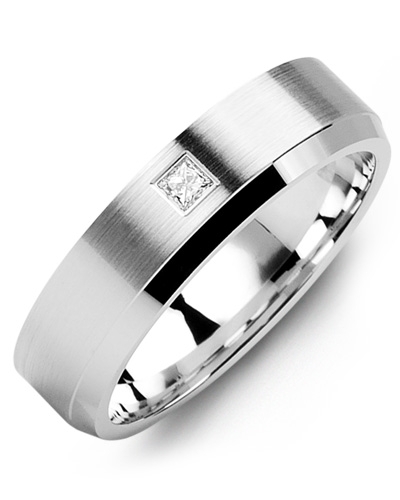 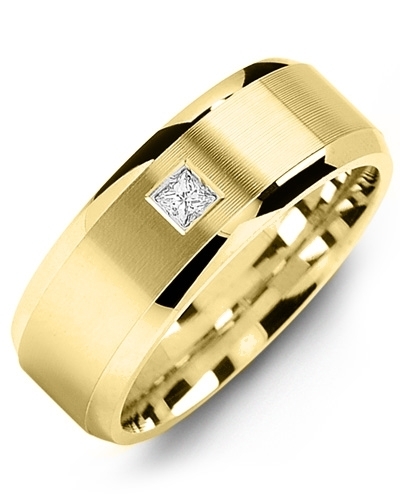 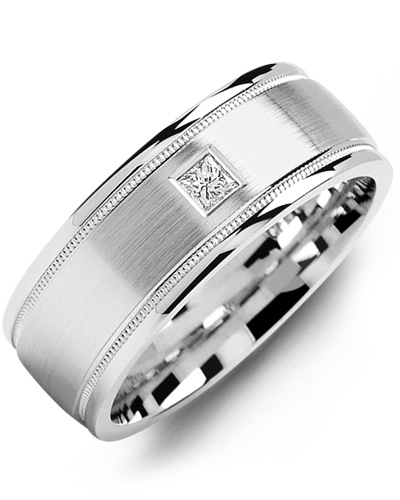 MTN - Brush Polished Edges Diamond Gold Wedding Ring An impeccable piece of jewellery with standout style, this Brush Polish Edges Diamond Gold Wedding Ring was made for modern brides and grooms. 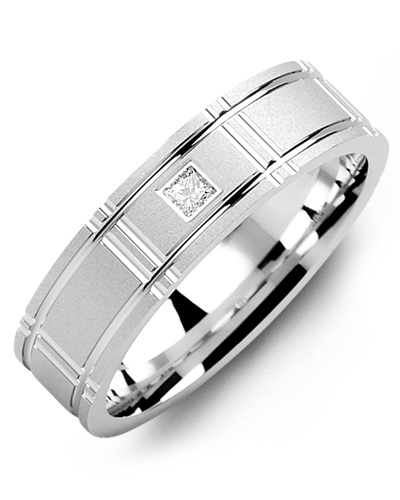 Combining high polish and brushed detailing to create a two-tone effect, it features bevelled edges for comfort, and a single 0.07ct square princess-cut diamond that glitters effortlessly in the natural light. 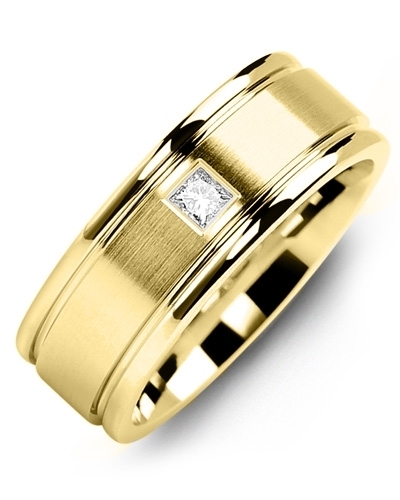 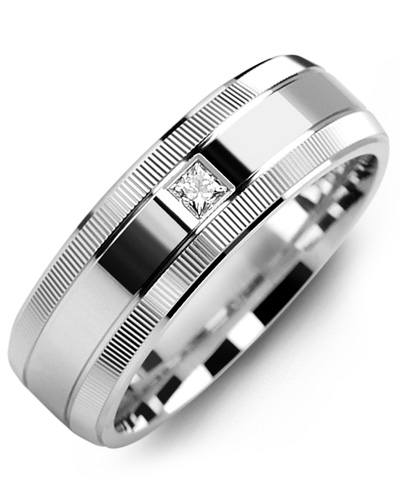 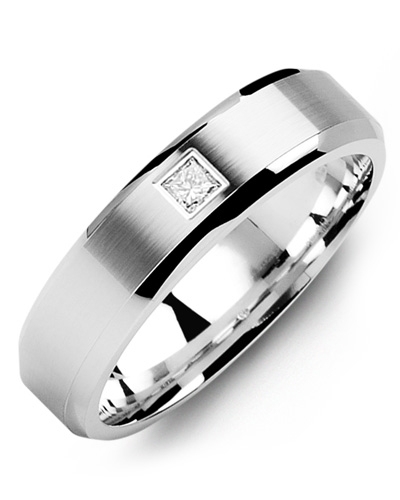 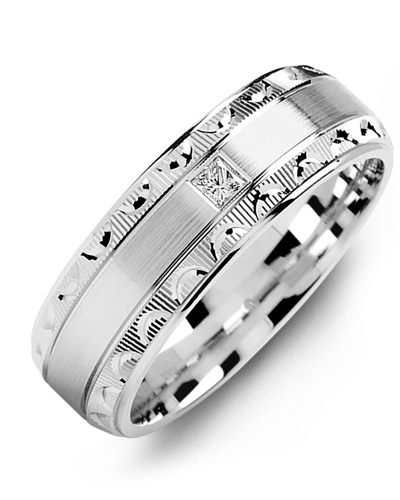 Simply choose your preferred gold colour, karat, and width to create your perfect wedding ring. An impeccable piece of jewellery with standout style, this Brush Polish Edges Diamond Gold Wedding Ring was made for modern brides and grooms. 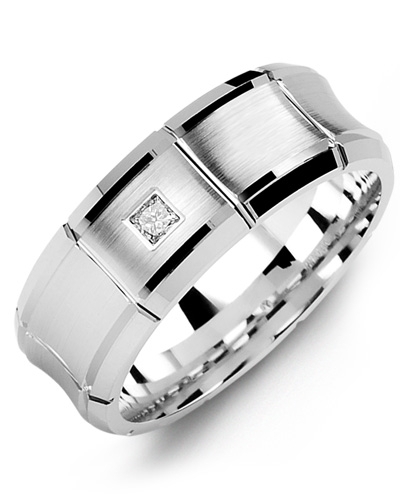 Combining high polish and brushed detailing to create a two-tone effect, it features bevelled edges for comfort, and a single 0.07ct square princess-cut diamond that glitters effortlessly in the natural light. 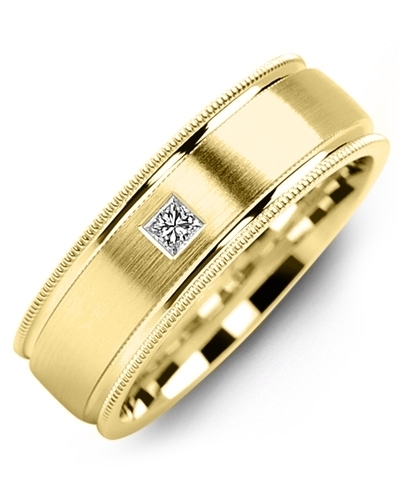 Simply choose your preferred gold colour, karat, and width to create your perfect wedding ring.